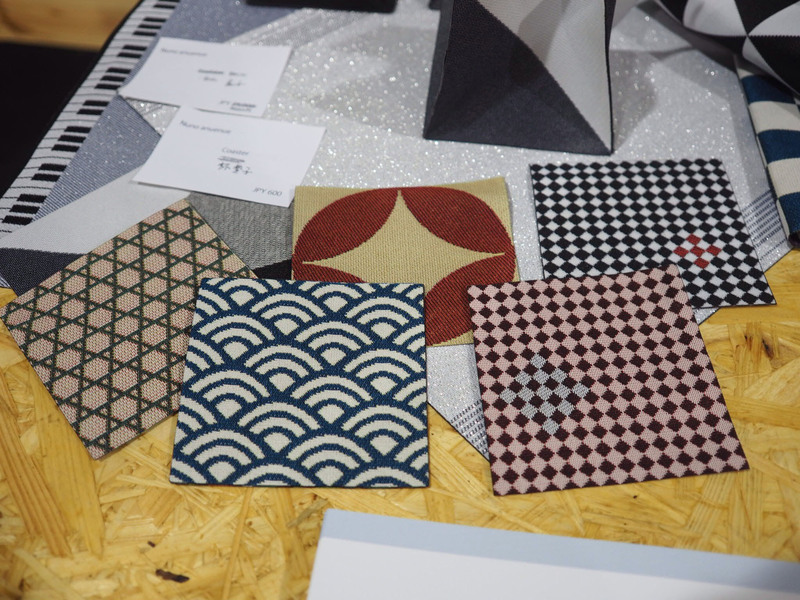 Established in 2005, Tokyo Design Week has done an admirable job of showcasing Japanese creators both major and minor. Unfortunately, this year has been a bit of a let-down from past years’ presentations. Much smaller in scale and yet still heavily populated by corporate stalls, there were a lot of exhibitors displaying the same ideas as last year. But there were a few things that caught my eye. Tokyo Teshigoto, a project by the Tokyo Metropolitan Small and Medium Enterprise Support Center, proves that bureaucrats have style despite the ill-conceived “Cool Japan.” The initiative promotes 40 traditionally crafted products — including kiriko glassware, shippo cloissone, woodblock prints and hand-bound brushes. Using contemporary design that enhances, rather than interferes with, traditional aesthetics, these are products that should also appeal to a foreign audience. 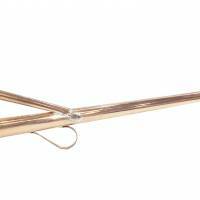 The Copper Long-necked Watering Can by Yoichi Negishi, Japan’s only surviving creator of bonsai watering cans, is a great example of modern design combined with traditional craftsmanship. The can’s extra-long neck keeps the water flow gentle and makes it easy to pour, while the tiny pinholes on the head produce a light raindrop-like shower. The can has also been designed so that it can be dunked into a bucket of water for easy refill. Also of note is Satoshi Nabetani’s Kamata Modern Suikyo series of glassware. 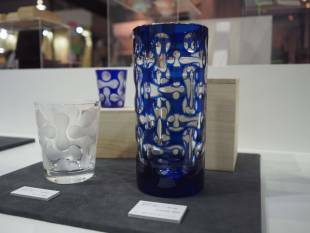 By developing a curvaceous design, Nabetani has created a pattern that, simple as it may appear, requires phenomenally adept glass-cutting skills. Each piece is incredibly unusual in glass-cutting design, yet still distinctively kiriko. Another venture that aims to promote Japanese crafts is the NPO J+B Design, which brings together various brands to showcase at its Brooklyn showroom. Aimed specifically at a foreign market, the J+B Design goods include Amaike Textile’s Super Organza, made from 27-micron polyester thread and touted as the thinnest fabric in the world, and Nuno Anuenue’s extra-durable polyester jacquard, which can be woven with any pattern or image a customer desires. The Super Organza has been featured at quite a few recent design shows, but it’s now being presented as a finished product in the form of gradation-dyed and tightly pleated scarves, while Nuno Anuenue’s jacquard can be heat cut and even “stitched” using heat, meaning no fraying or seams. When can we geta these? It’s a shame that there is so little information about the brand Going Home, one of the TDW 100 Creators exhibitors, because Yoshimitsu Fujita’s curved geta are real stand-outs that deserve a wider audience. with a wavy sole. 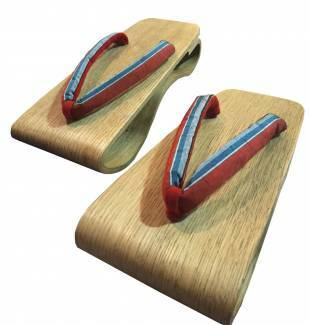 It looks a bit like a wappa wooden lunch box version of geta, and the shape is not only a modern take on the traditional footwear, but it also gives the sandal a little more bounce. Fujita says Going Home geta are not available for purchase yet, so here’s hoping that the attention he garnered at TDW kickstarts a production run soon.